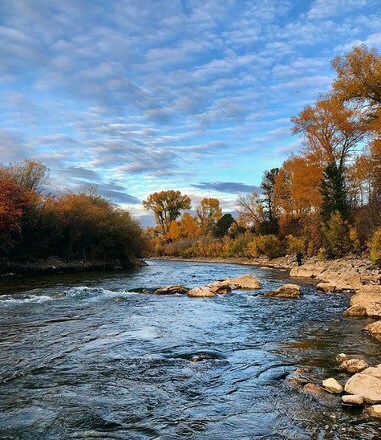 Wyoming is not the most well-known state for gold panning, but you can definitely find gold in the rivers of this scenic state. Records indicate that gold panning in Wyoming goes as far back as 1842. However, it was not practiced on a statewide scale until the 1860s. Because Wyoming is so sparsely populated, it's believed that much of the state's gold still lies undiscovered. The thought of finding large nuggets keeps prospectors venturing to Wyoming to this day. Gold panning in Wyoming is a little more challenging than in most other states. A mining vacation here will have to be well thought out. Failure to familiarize yourself with the state, its environment, and its regulations could make your trip a disappointment. The winters in Wyoming can be brutal. Temperatures often drop well below freezing and remain that way for months. This is one of the main reasons Wyoming was not mined as extensively as other states during the 19th century. Out-of-town prospectors should ideally plan their visit for the summer months. In June and July, temperatures are much more reasonable. Recreational prospecting in Wyoming doesn't require a lot of paperwork. If your prospecting falls under what the state identifies as "recreational", then you are free to prospect on state lands without a permit. For suction dredging, you'll have to obtain a permit from the Wyoming Department of Environmental Quality. According to the Bureau of Land Management, there are 30,294 active mining claims in Wyoming. Claim owners don't take kindly to other prospectors panning on their property. To avoid trespassing, consult the BLM's records for the locations of active mining claims in Wyoming. For your convenience, we have prepared the following list of the most reliable gold-bearing rivers in the region. In 1842, the Sweetwater River became the site of Wyoming's first gold discovery. Despite this, the river was panned only intermittently in the decades that followed. Things started to pick up in the 1860s, when numerous mining towns were established along its shores. From then until the early 1900s, placer gold was frequently extracted from the Sweetwater River. Lode gold was also discovered in its waters. The Sweetwater River was perhaps the most heavily mined river in Wyoming during the 19th century. Despite this, its waters contain gold to this day. Modern prospectors regularly report discovering placer gold in the Sweetwater River. Some have even been lucky enough to find lode gold. The Snake River is one of the largest rivers in the entire Pacific Northwest. Beginning in Wyoming, it runs through Idaho, Oregon, and Washington. A frequent source of gold, this river is popular with prospectors in all four states. 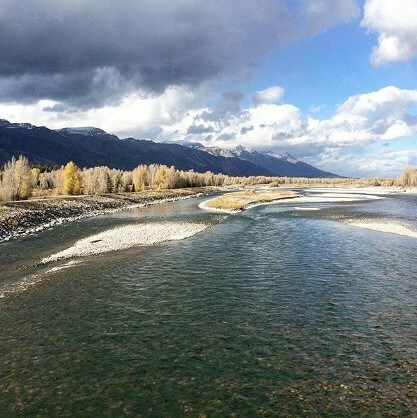 The Wyoming stretch of the Snake River is a known producer of fine placer gold. Unfortunately, the small size of this gold can make it a challenge to extract. Instead of a traditional pan, Snake River prospectors should use a sluice box if they want to see results. The Green River is a tributary of the Colorado River and prospectors have long been drawn to its northern waters. The northern portion of the Green River is quite similar to the Snake River. The gold found there is usually quite fine and difficult to capture. Abandoning your traditional pan in favor of a sluice box is advisable. With the right equipment, prospecting in the Green River can be surprisingly rewarding. When collected in large numbers, the fine gold can equal the value of larger placer gold. The Gros Ventre River is a tributary of the Snake River. Although it's just 74 miles long, it has produced significant placer deposits in the past. Modern Wyoming prospectors believe that much of its gold is yet to be extracted, largely because of the river's panning restrictions. Prospecting is prohibited and unsafe in isolated stretches of the river. To avoid danger, pan only in easily accessible portions of the Gros Ventre River. The Wood River runs through the Dundee and Spar Mountains. Both mountains were heavily mined during the 19th century and gold was often found in quartz rock. It's suspected that fragments of this gold may have entered the Wood River. There isn't a whole lot of evidence for this, but those willing to pan an often overlooked area may be rewarded. Overall Wyoming is not a great state for those with a passing interest in prospecting. With minimal tourist attractions in the area, casual prospectors will struggle to fill the hours they aren't panning. The bordering states of Colorado, Idaho, and Montana are better for gold panning. However for dedicated prospectors, panning in Wyoming may prove to be rewarding. If you can stay in Wyoming for long periods of time, then you have a good chance of finding some undiscovered gold.